Dental Emergencies happen to everyone and the doctors and staff at Partners in Dental Health are ready to help you get out of pain or fix any dental problem. Everyday the office is open we have space set aside for our patients in case they have a dental emergency. No matter how big or small the problem the quicker it can be resolved the better. We accept walk-ins and same day appointments to solve any oral pain problem. Call us at one of our Virginia Beach or Norfolk Offices and come in to end that dental problem. Contact us. Head Trauma: Go to an emergency room immediately to get evaluated for any head trauma. Oral trauma: Cracking teeth from facial trauma can cause the tooth to die or at minimal small pieces of enamel to brake off. If you can see a pink or red spot on your tooth that is the nerve and needs to be treated urgently; same day. If the fracture does not include the nerve but is still sensitive cover it with wax and go to the dentist as soon as possible. Avulsed Teeth: Teeth that fall out from trauma should be rinsed and placed back in the socket if in one piece and no bone damage. If the tooth can not be placed in the socket, soak it in a isotonic solution such as saline or even milk to keep the tissue surrounding the tooth alive. Then call the dentist to get evaluated immediately. Teeth Pain: Teeth can hurt for many reasons. The cause can me multi-factorial and requires a dentist to use multiple instruments to test the cause. 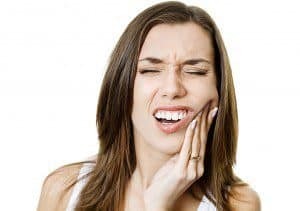 Fractured tooth: A fractured tooth is more noticeable to you because the tooth or a part of it will move if you touch it or bite on it. Depending on the extent of the fracture some teeth can be saved. Go to the dentist urgently to evaluate your situation. Crack in a tooth: The pain they cause can be severe to mild and this severity will tell the dentist the extent of the crack. More severe cracks could extend through the nerve chamber and past the bone which may require losing that tooth. Smaller cracks can be painful and easier to repair to get rid of the pain. See the dentist as soon as you can to evaluate the tooth. Nerve Inflammation: Pain coming from the nerve of a tooth can be severe and debilitating. The cause of the nerve damage or irritation could be from multiple sources. If it is from bacteria, this can lead to oral infections and swelling causing more pain in the bone and surrounding ligament. This is a definite emergency and should be evaluate by a doctor or dentist to reduce the swelling. Periodontal Ligament swelling: Did you know a ligament surrounds the tooth and connects it to your gums and bone. It allows for tactile sensation and cushioning to protect the bone and the vessels that enter the tooth. The periodontal ligament can be bruised, stretched, or destroyed and lead to pain. Clenching and grinding your teeth can lead to a bruised ligament causing pain and sensitivity to multiple teeth or a single tooth. Bone Swelling: The swelling of the bone can lead to great pain. This can start from the bacterial infection from a tooth expanding into the jaw bone and pressing on the bone rapidly. If it occurs slowly though it may not be painful. This example could occur in a slow growing tumor. A perfect example why preventative x-rays are taken periodically to see changes not felt or seen visually upon exam. Jaw Pain: Generalize jaw pain from the mandible or maxilla could be multi-factorial. A sinus infection can cause one or both sides of the maxilla to lead to pain. Less common but possibly a maxillary tumor may also lead to similar pain. Clenching or grinding can cause jaw pain in the entire mouth and Jaw Joint (TMJ). It is important to see a dentist to help diagnosis the cause of any jaw pain. Mouth ulcers: Ulcers can occur everywhere in the mouth. Some are not painful but could be deadly. The most common ulcer is and aphthous ulcer (Canker Sores) and occurs on the soft tissue of the mouth. This is not an emergency and if it persists greater then five days then you should see a dentist to evaluate the problem. There are many other ulcers that can occur in your mouth ranging from primary herpetic gingivostomatitis in children to squamous cell carcinoma in adults. Any ulcer should be addressed urgently and evaluated by a dentist.